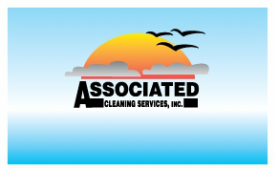 Look Out - Associated Cleaning Services, Inc. There are many things to watch for to insure you get the bid that matches your service expectations. Read the following list of important areas to help protect your facilities from pit falls. The first and most important step is to make sure you have a clear written agreement as to what services you require. What most people do not notice is if a contract is not written by a professional in the janitorial trade, then you leave yourself exposed to many loop holes. We at ACS will help you design a contract that you can use to price the services you want. Some of the important items to make sure you address in your contracts are payment upon completion of extra services, type and quality of chemicals, supplies and equipment to use, mark up of purchased goods if provided by vendor, quality and compliance measurements, knowledge and experience. If your simply looking for the cheapest service possible let your service providers know that also and set your contract to match. Starting out on the right foot is important to your long term satisfaction. It is very important to communicate with your vendor and the staff who services your facility. Remember they are human too and will make mistakes but a reminder to them will help them stay on track. Also do not underestimate the importance of positive feedback. Reminding your janitor when they are doing well lets them know you are paying attention in a positive manner reducing the chances of needing to remind them in a negative manner. Never feel bad for providing constructive criticism, it really helps to share it if you have it. You should have your service provider do regular reviews of the service and report them to you. You can decide on the frequency you think is adequate and have it as part of the contract. This helps catch items before they become big problems. If you want to keep bids as low as possible, you may not want to include mandatory reviews but this can lead to needing more feedback from you. The goal for both parties should be to build an honest, mutually beneficial, long-term relationship. If that is not happening, then the following may happen. Many vendors regularly practice cutting corners. Some will be dishonest and take advantage of a poorly followed contract and some will take every advantage of a poorly written contract. If you have a good relationship with your vendor they should be working with you to get you the most out of your contract. ACS is glad to show how it ensures your contract is always fulfilled. A few signs that your vendor may be cutting corners. When you ask your vendor when an item is to be completed and they tell you it is on the schedule to be done in the near future. How about the "I'll get back to you" with that information, funny you never hear back. If they are cutting these corners, you can be almost sure that they are cutting more by providing service of a lesser quality than you expected. If you're not there to see it, you will not even know it's happening until it's too late. Here are some things that could happen. You are paying for a twice annually carpet cleaning as part of your monthly bill - problem is they may only be doing it every other year. This could happen and they would not be in contract violation if your wording is not correct. Bi or Semi annually, is that twice or every other? What if they do show up but they do not do a deep extraction cleaning you thought you were getting, instead they do a dry surface clean. If your contract is not specific, this is a viable practice. Here is a real hard one to catch for beginners. Contract calls for a strip and wax in April and October. Sounds specific. Here is what a cheap vendor may give you. They only strip the top layer of floor instead of removing all finish. They only apply 1 coat of finish instead of the ACS minimum of 3 to 5 coats of finish. Finally they use low grade finish that will wear out faster. A final reason to make sure you work to have a good, beneficial relationship with your vendor is to make sure they are able and following laws to keep you from being legally liable. If your vendor is not setup as a fully licensed and insured vendor, you can be liable. Liable on insurance claims. Liable for workers compensations claims. Liable for lawsuits. ACS not only adheres to legal requirements but also publishes them on this web page for current customers to access at any time to see all our requirements are up to date to keep you protected. One of the easiest first steps you can take to protect yourself is to web search your potential vendors. See they are listed, see if they are registered with the state. ACS is proud to be a leader in setting and following standards and is here to help you get the most out of your service. Click to see what ACS can do for you.